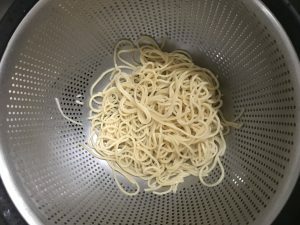 Who doesn’t like pasta? I know in my family that would be a resounding no one! Everyone loves it! 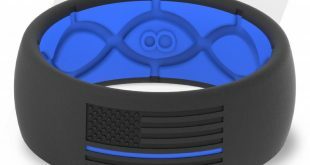 We love it so much we decided to try making our own. To be honest, I was extremely skeptical of it. 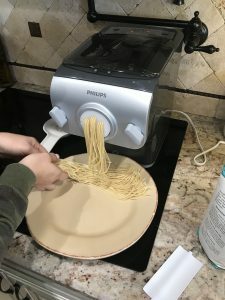 I read some articles online and watched YouTube videos on the Philips Avance Pasta Maker and decided to give it a whirl. There wasn’t much to the unboxing of the machine itself. It was very simplistic and not a lot of parts. 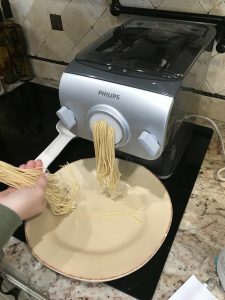 At first when you are looking it might seem like there is a lot going on, but then you realize that almost all of the parts in the box are just extra discs to attach to the machine to make different pasta types and sizes. Basically the hardest part is figuring out the “formula” so-to-speak you want to use, however, even with that the machine has a built in scale that actually tells you how much flour and egg/water mix to put in. Its pretty amazing! 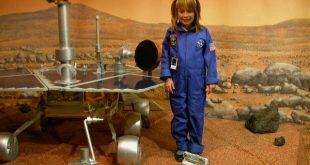 We had to play with our mixture a few times to get it to the exact texture that we wanted for us personally, but everyone is different. When we did the exact measurements of the machine it made it a little dry for us (even though it measured it perfect for us) so we added a little more fluid the second time around and it was perfect! After they dried for a short period we boiled them and they were absolutely perfect. 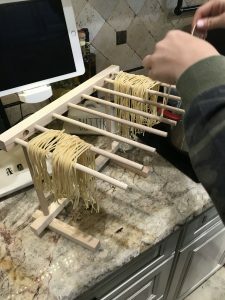 The noodles were so fresh and were made from scratch. We knew that since we made them there were no preservatives or additives in them at all. Our kids devoured them and said that they were the best that they had ever had! That made it all worth it! 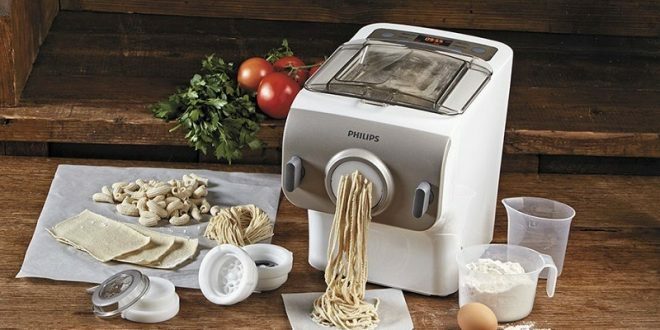 Everything that is advertised is very true with the Philips HR2357/05 Avance Pasta Maker. 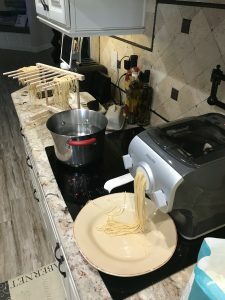 It truly only takes 15 mins total to make your own batch of fresh pasta noodles from an amazing meal for you and your family!